Ken Goldstein has been working in nonprofits and local government agencies from Santa Cruz, to Sacramento, and back to Silicon Valley, since 1989. He's been staff, volunteer, board member, executive director, and, since 2003, a consultant to local nonprofit organizations. For more on Ken's background, click here. If you are interested in retaining Ken's services, you may contact him at ken at goldstein.net. 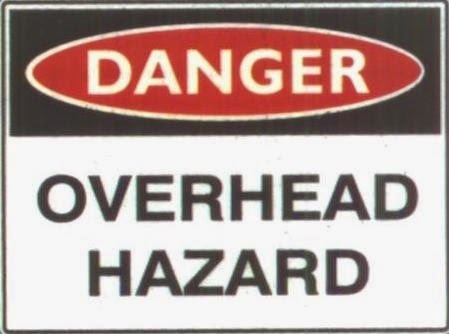 If you're not already talking about overhead, you should be, and you will be soon. Overhead, of course, is shorthand for what nonprofits spend on general management and oversight, fundraising, and membership development. In other words, anything that isn't directly mission-related programming. Seems pretty basic, but there are often fuzzy lines between what we consider "overhead" and what we consider "programming" - a line that is not only fuzzy, but politically charged as more and more donors (individuals as well as foundations and government) are looking at our overhead-to-programming ratio as a means of judging our "worthiness." 1 - Hydeh Ghaffari: "The organizations showing 6% are playing with the numbers and the ones showing 60% need technical assistance." Nonprofits have to educate themselves, and their staffs, about what qualifies as program, and what gets lumped in with overhead. Don't be afraid of asking your staff to complete more detailed timecards that accurately track how much time they spend in each program area, and when they are doing "general" or "oversight" work. Learn what your true ratio is, understand it, and embrace it. You can't use a single rule-of-thumb ("14%!") to determine if your overhead is too high or too low. You need to understand the true cost of running your organization, and be able to defend when spending more on overhead is necessary to achieve growth and deliver on your mission. 2 - Ann Goggins Gregory: "Be willing to walk away from grants and contracts that have egregious reporting requirements and too strict limits on overhead. And share that reason, respectfully, with the funder." A hard lesson - walking away from money on the table - but as a consultant I can attest to seeing many of my clients nearly ruined by contracts that cost more to administer than they were worth. Once you know what your true overhead costs are, be honest about them with your funders. If you need to subsidize a contract with other donations that cover the overhead, that's entirely fine and your choice, but you do yourself (and all of us) a dis-favor when you cover that up. Remember, any contract that includes any Federal money (even when passed through your local municipality) has to include at least 10% for overhead. Is that enough? Consider that most service businesses run about 30-35% for their overhead. 3 - Jan Masaoka: This is important because there have been repeated attempts to pass laws saying too much overhead means a loss of nonprofit status. In several state legislatures there have been moves (some more successful than others) to determine whether to limit tax-exempt status only to those organizations that have a low overhead. Whether or not your state has already discussed this or not, this is not a conversation that is going to go away anytime soon. We cannot be afraid to talk to our legislators about why this is a bad idea, why overhead ratios are not the ultimate measure of a nonprofit's worthiness, and why ratios differ from nonprofit to nonprofit based on a number of factors. If we fail to act now to educate the public and the politicians, we risk losing our nonprofit status, and with it, our ability to achieve our missions. Coincidentally, last week another collaboration was also bringing attention to the issue of overhead. GuideStar, BBB Wise Giving Alliance, and Charity Navigator released a public letter as part of their Overhead Myth campaign. The members of the panel I attended Friday had mixed feelings about this. Many in the sector believe that the uber-focus on overhead is largely a creation of these organizations and their systems of ratings for nonprofits (particularly Charity Navigator). Jan was the most blunt, saying, "It's like the Gap saying 'Clothes don't matter, it's what's on the inside that counts'." Jan is my former employer and a long-time associate and friend, but I'm a little more moderate in my criticism. I don't believe that they ever meant for overhead to become the single-most important measure of what nonprofits deserve funding. Still, it is undeniable that that is exactly what has happened. A study released today by the BBB Wise Giving Alliance found that "donors care more about how money is spent than results." I have been in contact with the folks at GuideStar, offering this space for a guest blog from them about the Overhead Myth campaign. Hopefully we can present that soon, and continue this open dialogue. How Much Should Board Members Give? How do you allocate overhead costs?